For spooky and free Halloween fun in Hatfield this year come down to White Lion Square, Hatfield on Saturday 29th October 11am - 4pm. 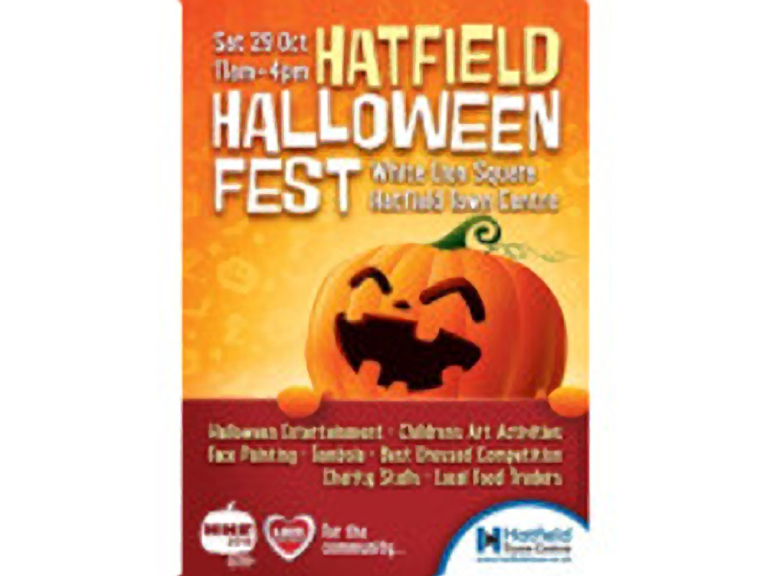 No fear of being bored at Hatfield's Halloween Fest - with face painting, children’s art and craft activities, local food trader stalls, competitions (including the best Halloween costume and the best short story) and lots of fun. And you could be in grave danger of going home with one of our amazing prizes, which include family gym memberships and cinema tickets. A percentage of all proceeds from the stalls will be going to local charities. You’d be ghoulish to miss it! The annual Family Halloween Event at Mill Green will be held on Monday 31 October, 5:30pm – 7pm.